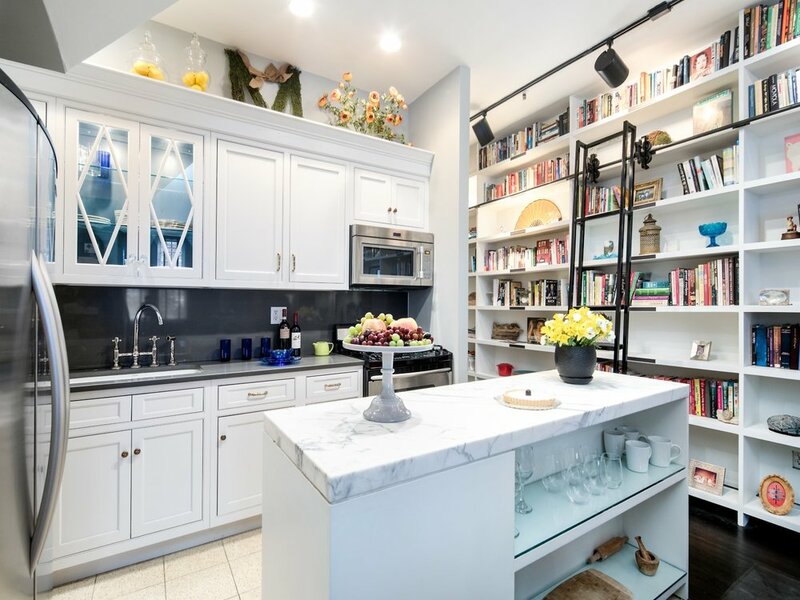 This alluring one bedroom plus sleeping loft duplex, perfectly located on a quiet tree-lined street of the East Village is quintessential townhouse living at its best! 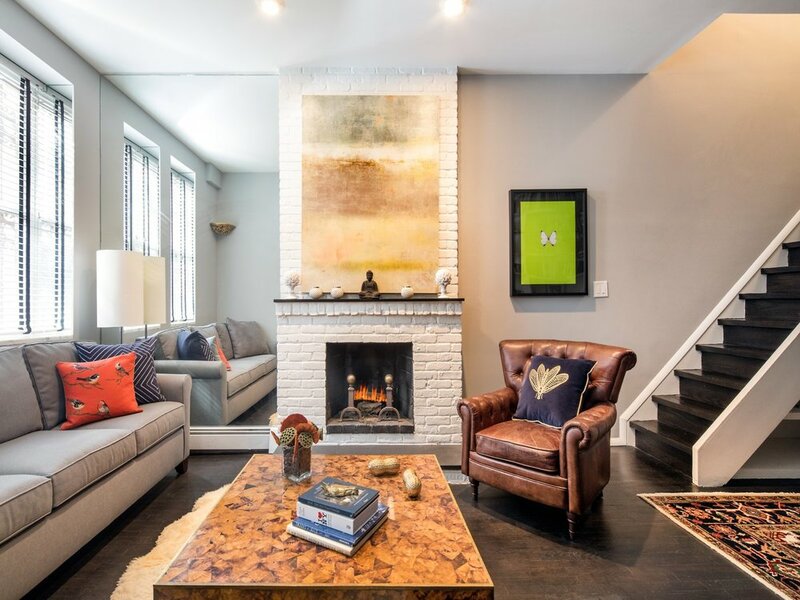 On the lower level the loft like entertaining area boasts 11 ft. ceilings, an entire wall of spectacular floor to ceiling custom bookshelves with vintage rolling ladder, a wood burning fireplace and attractive refurbished dark wood floors. The convivial open kitchen was recently fully renovated and equipped with gracious thick marble countertops. Located on the upper level the master bedroom suite enjoys a large walk-in closet and an impeccable bathroom equipped with Lefroy Brooks fixtures. Additionally on the upper level there is a separated sleeping loft with full size bed, ideal to welcome guests! Both levels receive natural light through large South facing windows and have convenient separate entrances. On the lower level there is also a half bath and a washer dryer. Extra storage space is available in the basement. This character-filled duplex loft is located in a picturesque 1892 landmark Victorian Gothic Style townhouse designed by Calvert Vaux whose work includes the master plan of the Metropolitan Museum of Art, the American Museum of Natural History as well as design of architectural features in Central Park and Prospect Park. This intimate, pet-friendly townhouse building is perfectly situated in the heart of the East Village replete with creative energy and trendy restaurants. 307 E 12th Street is a few blocks away from Union Square and Tompkins Square parks and all major transportation.